We had an awesome response to Halberg Day this year from all members, we raised $710.00 thought participation plus $500.00 profit in the raffle – Thank you to you all!! Raffle results were 1st Steve Heller, 2nd Jim Walsh, 3rd Tony Birtwistle, 4th Bruce Hay, 5th Mary Penrose, 6th Andrew Curry, 7th Alex Ross, all prizes are in the office for pick up. Winner of the Jim Parkin Cup plus Halberg Day was Stephen Quinn 42, runner-up was Danny Anderson 42. Winner of the Lil Parkin Cup was Lina Worthing, runner -up was Dale Fayen. Winner of the Halberg Day was Lina Worthing 45 and closely behind her was Gail Waight 44. Congratulations to all winners, you can collect your prizes in the shop over the weekend. This Sunday the Men have Strokeplay Champs, Matchplay Qualifying plus club trophies, I know you are all aware that members that use Carts the club has to hold your latest medical certificate no less than a year old for you to be eligible for some of these competitions, plus all members have to be financial. So please Do not be surprise if I disqualify you this Sunday if you do not meet these requirements. The Car Park Raffles was won by Reg Caldow, he however has donated this back to the club to be drawn again, so I will draw it this weekend. We now have the $2.00 raffle on Sale for a prize of $50.00 Cash. Special thanks goes out to PAK N SAV, Upper Hutt who have been great sponsors this year not only for our Twilight Teams, but also for the Halberg Day, we would like to acknowledge our gratitude to Upper Hutt Pak N Save . You are AWESOME!!!! Chris Brooks has lost his black Golf Ball Bag (I so have to say that correctly) it was put into the lost property bag and someone else has claimed it, so please if it is you just drop it back into the property bag or office. Cart Users please reframe from driving up onto the tee blocks at #15, use your carts very careful around that area. If you see a roped off area, it means don’t go pass the area, NOT drive your carts around it!!! Division 9 beat Trentham 10 – 5 on Saturday – Awesome!!! Division 2 lost 8-7 to Karori. It was a hard fought match, lots of close matches that went down to the last hole, Karori prevailing in the end with the 8-7 victory. James Waluszewski had five birdies, (married life must be doing him good). Division 3 has some tough matches in perfect conditions at home last Saturday, they mangered to sneak a 8-7 win over Kapiti. It’s not quite what they were looking for, but they are going all out to step up next round. Bluey went to Steve Heller with 6/5 loss, Player of the Day went to Steve Dearns with a 6&4 win, Team of the Day went to Tiri and Dean (fill in from Div 6) with a 3 & 1 win. Awesome Guys!!!! Weekend LADIES Club Championships start on Sunday 14th April, I have a registration sheet in the office for all ladies to register. DAYLIGHT savings finishes this weekend, so don’t’ forget to put your clocks BACK on Sunday morning. – If I am not here for the early birds on Sunday morning that means you have not put your clock back!!!!!! The Ladies Bronze Pennants team played at Royal Wellington on Monday 1st April they only played 4 holes in appalling conditions then they were finally call in after 4 holes, cold, shivering , wet but thankful!! Club Member Susan Somerville and her Partner Aris from Whakatane were defending their NZ Autumn Foursome at Paraparaumu Golf course over three days, they won all games on day 1 and day 2, on the third day they were beaten in the semi-finals from the eventual winners, It was great to have support from club members Faye Turner and Jo Carson. Congratulations Susan an AWESOME effort from you and your partner. Saturday – Limited tee time, a few groups booked. Monday – Pennants /Mary Penrose teeing off #1 and #10 at 9.30. Men’s Vets at Karori at 10.00am. Thursday MW Men hosting Manor Park. Good Luck to all our Interclub teams playing on Saturday. Thanks to Chris Brooks and Allan Fayen for working Saturday setting up the short course, plus Allan Old for doing all the bins, and to any other volunteer that has helped out. PAK ‘n SAVE Upper Hutt sponsored the event, enabling us to give out some tasty prizes – Thank you PAK ‘n SAVE. And special thanks to Sonia, chief co-ordinator and organiser and of course to our 19th Haven Caterers for delivering a great range of delightfully tasty meals after each round of the competition. Two teams, Professionals (Peter Roberts, George Pene, Tony Hill, Dennis Cook – and 3-time reserve/ring-in Jason McKenzie) and Bogeymen (John Eggleton, Brett Archibald, Craig Butler, Rick Lister – and 1 time reserve/ring-in, John West) finished time with 352 points. So congratulations to Constructables, 2019 Teams Twilight Champions. And thanks to all teams and players who, by supporting this event, helped make it a very positive and enjoyable experience. A big thanks to Dave Edhouse for stepping in at the last minute last Saturday. Soooo…we improved our results by 100% & still took a 6 – 9 loss. The good news is that we are NOT on the bottom of the table. Things can only get better from here!! We have our next round on the 6th of April at Pauatahanui. 8.30am for a 9.00am start. They have limited parking, so let’s carpool if we can. Please advise asap if you are available. HALBERG DAY IS THIS SUNDAY – The Competition on Sunday is $10.00 which includes Stableford, Twos for men and women, the men will be playing for the Jim Parkin Cup, and the Ladies for the Lil Parkin Cup, plus you automatically get to go into the Eagles Golfing Society Raffle that includes $18,010.00 of prizes, the last few years a club member has won one the these prizes. So on Sunday every entry into the Halberg Competition there will be raffle books out for you to write your name and address into. Please remember the founder of this organization was Olympic Champion Sir Murray Halberg in 1963, his aim was to enhance the lives of physically disabled New Zealanders through Sport and Recreation. Halberg Raffles are $5.00 1st Prize is a Golf bag, second prize a Dinner Set, third prize Cap and Balls Your support would be great appreciated by the Halberg Foundation. Saturday we are hosting Interclub Division 2, 3, and 9. Bronze Pennants Mary/Penrose @ Royal Wellington. Wednesday – MW Women – LGU Putts, HP Stableford Home Links Event. Saturday 6th April we are hosting Porirua Club plus the FLOG Group. Sunday Daylight Savings Ends and you put your clocks back an hour. Te Marua Golf Club’s condolences go out to all members and their families effected by the Christchurch event, I know there is a few of you that have been directly effected, plus we are thinking of members and their families who are generally unwell with illness or recouping after an operation also. YOUR PROGRAMME BOOKS ARE IN THE OFFICE FOR PICK-UP. – Thank you to everyone that worked on them!! Great to see some All Blacks playing here on Monday for a round of golf, the Barrett boys plus Ricky Riccitelli with team mate from the Hurricanes Ben May. Winner of the $50.00 raffle was Clinton Codyre and ME!!! Please support the Car Park Raffle, it has been decided to have only 50 tickets at $10.00, please remember it is a fundraiser for the CLUB!!! Sunday 31st March is Halberg day, we will be selling the Halberg raffle $5.00 a ticket 1st prize Golf Bag, 2nd Prize Dinner Set, 3rd Prize Cap/Ball, which I hope to put out next week when the Car Park Raffle is sold. Sadly we only have two results from our Interclub teams that played on Saturday. Te Marua Division 6 had a home game against Mornington on Saturday and trashed them 14-1. Dominic Hazeldine played his first game for Interclub and had a win !! – congratulations Dom, and that 1 point you are all wondering who lost it, was all down to Rob McIntyre. – Awesome game Div 6. I have to apologise for printing the wrong oppositions team cards for Saturday ‘s Interclub games – DAM can’t believe I did that – must have been so excited having a weekend off!!!! Division 3 played at Miramar and had a great result getting a 7.5 draw, and 20-10 on aggregate over the 2 games. They are now currently sitting 5th, the division is very tight with only 5 points separating 1st to 5th. Bluey went to Steve, with team of the day going to Jason/Vance with a 3 & 2 4 ball win, and player of the day going to Kayne with a 5 & 4 win. – Congratulation guys, a few good wins will have you at the top in no time. This Sunday the Men have the second round of Strokeplay Champs, Mayer & Kean Cup, Don Hazlett Trophy, Matchplay Qualifying, Bolts Cup, with the 3th and 4th rounds being played on the 7th and 14th April. 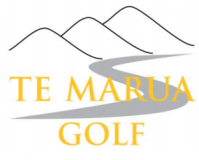 The Organisers of St Patricks day would like to thank Te Marua Members for the use of their course on their Club Day and would like to express their overwhelming pleasure on the perfect condition of the course. I would also like to pass on to the greenkeepers the great comments we have had in the office/shop how great the course is playing, we have had nothing but great comments on it plus of course how friendly the staff and members are. The National Taxi Tournament organisers would like to thank Te Marua for the use of the course over their 4 day tournament, they also were very impressed with the condition of the course, loved the food and service from 19th Haven, plus would like to express their thanks to all staff and private cart owners for the use of their carts over the 4 days. We have a 25% sale off all clothing items in the shop until the end of March, plus we have a rack of clothing items with 50% off. This of course excludes gloves and caps. It would be great for members to support the pro shop, a lot of pro shops on golf courses in the region have closed now, mainly because members don’t support them with cheaper buying elsewhere, DO YOU WANT THAT TO HAPPEN HERE!!! Thank you to the members that do constantly support the shop. Below are Club members playing in our Mashie Team on Saturday at Trentham be there at 8.30 for a 9 tee off – Thanks to Dave Edhouse for filling in for them – Good Luck guys – bring home a win!!!! Sunday – Second Round of Men’s Competitions. Wednesday – MW Women. Nancy MacCormack Foursome RD2 – Stableford. Men’s Vets play at Shandon on Monday 25th March at 10.00am. Evergreens play at Manor Park at 9.30am on Thursday 28th March. Diplomats and Te Marua today, thanks to all members that registered, we have a field of 30 playing, teeing off at 12.30 #1 and #10 and #14. St Paddy’s day on Sunday – what a great turnout over 120 players, and still people wanting to registered. Big shout-out to Bernie Breslin and team for the organization of this tournament. Thanks also for our members consideration in playing in the tournament or arranging to play elsewhere. Shop/Office will be staffed at 8.00am. Teams Twilight had their final night on Thursday, it was a great 7 weeks enjoyed by all – thanks to Peter Gallen for running it. Who has locker number 55 in the men’s locker room??? There is golf gear in there, if I have no name by next week I will cut the lock off. Another member has been paying for this locker for a couple of years but does not use it!!!!!! Club Member Keith Morris is offering 5% discount for garden maintenance to all members, if keen to have someone else to do all the hard work or mow the lawns give him a ring on 0211796087. Good luck to all our Interclub teams tomorrow!!! Have you paid your Subs??? Sunday 24th March Round 2 for Strokeplay Champs, Matchplay Qualifying plus all other events for the Men, Stroke play Championships Round 2 for the Women. Please support the Car Park Raffle $10.00 a ticket – for your very own personalised car Park. Please take note if you are coming up for a game during office hours it is courtesy to let staff know you are on course. Saturday – Division 6 and 9 at Te Marua. Sunday – Course Closed for St Patricks Day- be here at 9 for a 9.30 sharp Shotgun Start. Can’t believe it’s the 1st of March already!!! Te Marua Mid – Week Men v Levin Vets Report.. In November 2018 MW Men visited Levin where the day turned out fine and the course was in great shape. The first round ended with Te Marua 32.8 average Stableford points and Levin slightly ahead with 35.27 average. On Thursday 21st February 2019 the second round was played on a very warm and cloudless day held at Te Marua with a very strong team arriving from Levin. Te Marua ended up holding onto the trophy with a very slim margin. Te Marua average Stableford points 38.5 and Levin 34.5 a total of both rounds Te Marua 71.30 Levin 69.77 – so close!!! Notable performances from Te Marua were Clive Dunstan 45, Duncan Forman 44, Harvey McGown 40 and Peter Stone 39 Stablefords. From Levin Peter Clarke 43, Russ Baldwin/Ivan Franklin and Martin Wallace all with 36 Stablefords. Dave Edhouse said a great day was enjoyed by all. AWESOME MWM!!!! Raffle Winners for $50.00 were Dave Render, John Heka and Mark Girling. It has been noticed by a lot of club members the amount of cigarette stubs that have been on the greens plus the fairway lately, I don’t really have any suggestions except maybe reframe from putting them out definitely on the greens, or carry a container to put stubs in, kept in your golf bag. Division 3 played at Masterton on Saturday and lost 13-2. Team of the day went to Dean and Tiri who picked up their only 4 ball point. Player of the day was shared between Kayne and Steven Dearns both getting half a point each. Bluey of the day went to Ian Mawdesley, After 4 away games the boys are looking forward to playing at home. Round 3 Twilight teams results are 1st Professionals 70 points, 2nd Chemically Enhanced 67 points (on countback from Bogeyman), individual 1st John Eggleton Bogeyman 24 points c/b, 2nd Jason Robinson Loose Screw 24 points. Winner of the Hui Ngaparu on Waitangi Day was Peter Gallen 64c/b, runner-up was Kane Lloyd 64. Winner of the Lil Parkin Trophy on Waitangi Day was Robyn Smith 47, runner-up Kim Abrahams 43. Have you made contact with Ian Sherwin to register your interest in being a volunteer to help out doing odd jobs on the course???? Thank you to those members that have. Men’s StrokePlay Champs Round 1 plus all other Trophy competitions were cancelled last Sunday, so I have set up all comps for round 1 to starts this Sunday 3rd March, with subsequent rounds being played on the 24th March, 7th April and 14th April, hopefully the weather will be kind to us so all rounds can be completed before Easter. Monday 4th March to Thursday 7th March the course is closed for the Open 54 hole 66th Annual New Zealand Taxi golf Tournament, members will be able to play late afternoon, or early morning but to be off course by 10.00am for shotgun start. Mashies play at Ohariu on Saturday 9th March. Weekend Women’s Strokeplay Championship Round 1 on Sunday 10th March. Men’s Vets play at Wainui on Monday 11th March. MW Men play at Manor Park on the 12th March. MW Men play at Waikanae on the 14th March. Diplomats V Te Marua on Friday 15th March Have you registered???? St Patrick’s Day on Sunday 17th March – course closed – members are more than welcome to play in this tournament – registration form on the club board. 9.00am Sharp for a 9.30 tee off. Mashies play at Trentham on Saturday 23rd March. Weekend Women’s Stroke play Champs Round 2. Women’s Vets at Judgeford on Monday 25th March. Evergreens play at Manor Park on Thursday 28th March. Halberg Day on Sunday 31st March. I here we had Sir Brian Lochore playing at our club on Wednesday!!! !